People love to document the important moments in their lives and love itself can be involved in a number of these moments. 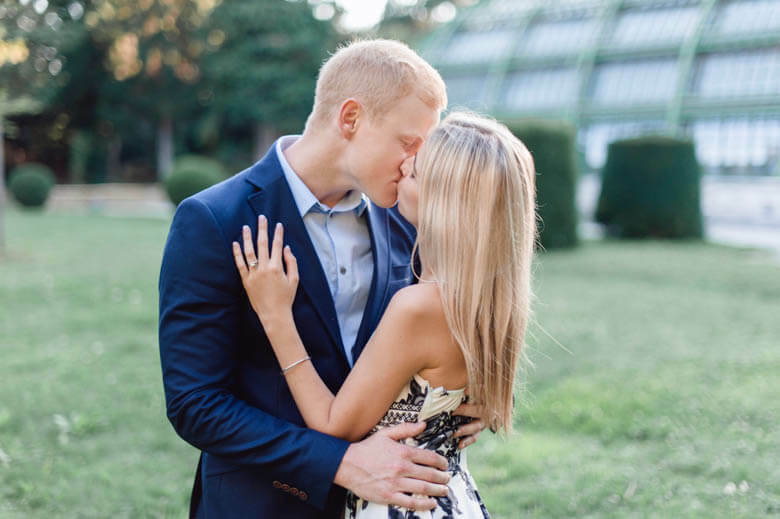 A proposal is a major step towards a lifetime with the one you love and the romance of it deserves to be captured by a pro photographer. Check out this story of secret photo shoot in Vienna. 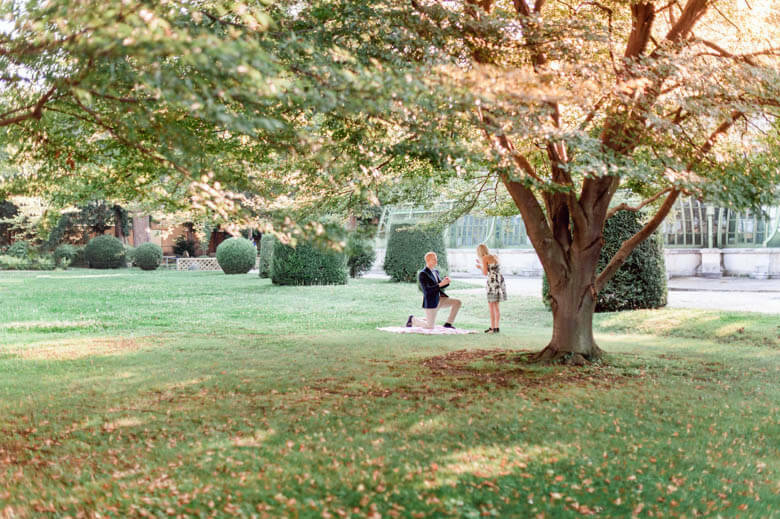 A lot of thought goes into proposing to one’s significant other, not least of all the perfect time and place to do it. Of course it’s one of the biggest moments in the life of a happy couple and one that people would love to have captured. 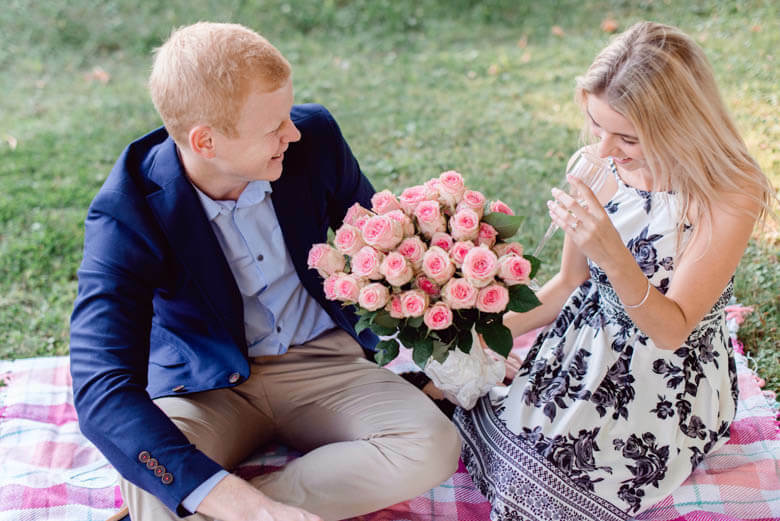 The romance and surprise of a marriage proposal can’t be recreated for photographs after the event so the actual proposal itself must be photographed in order to capture the moment for all posterity. This isn’t as difficult as it sounds. With the correct planning it is possible to arrange for a professional photographer to be there to capture your special moment. 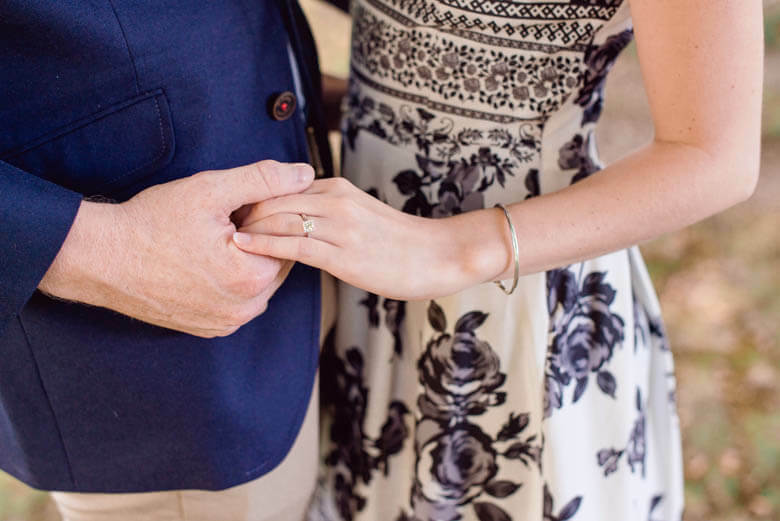 The photographer will work with you to ensure that everything you want to make your proposal perfect can be achieved and that photos of the romantic gesture are as you would like them. And don’t worry about them being in the way. They will shoot the pictures from a safe distance with a long lens, paparazzi style, and the fantastic photographs to remember the occasion by will be with you forever. Jared wanted to propose to his now fiancée and of course he wanted it to be perfect. 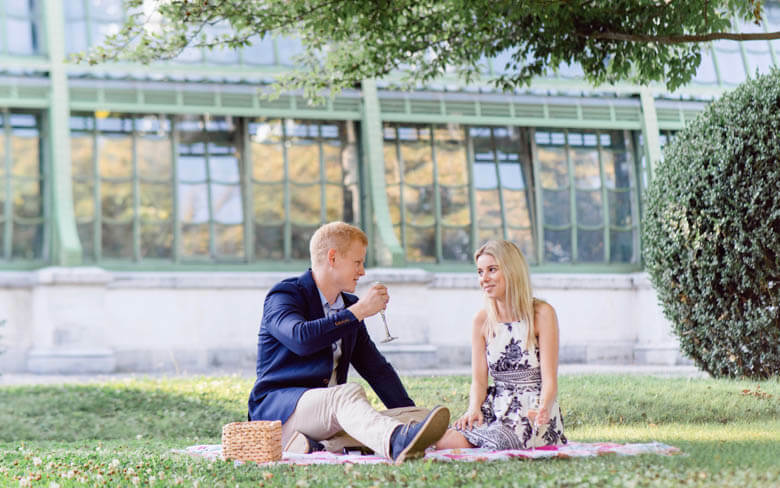 For the proposal he chose the beautifully idyllic Burggarten in Vienna, Austria. The historic park is beautiful under any circumstances with it’s sprawling green lawns and beautiful foliage, not to mention the monuments of Mozart and other great Austrians, but when the sun is shining it’s even more picturesque. Jared chose to have the giant glass buildings of the Palm House as the backdrop. A picnic was planned for the summer day and then the question was popped in an original way. 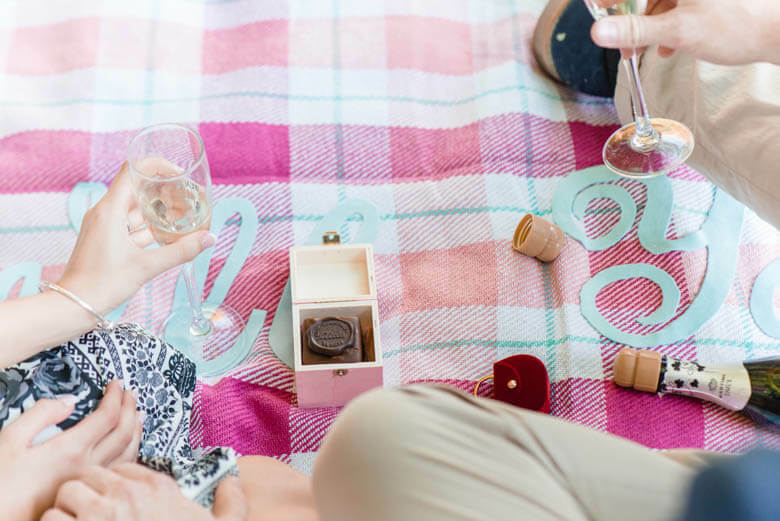 The picnic blanket had stitched on to it a very important question: “Will you marry me?” To say this was a surprise would be an understatement. 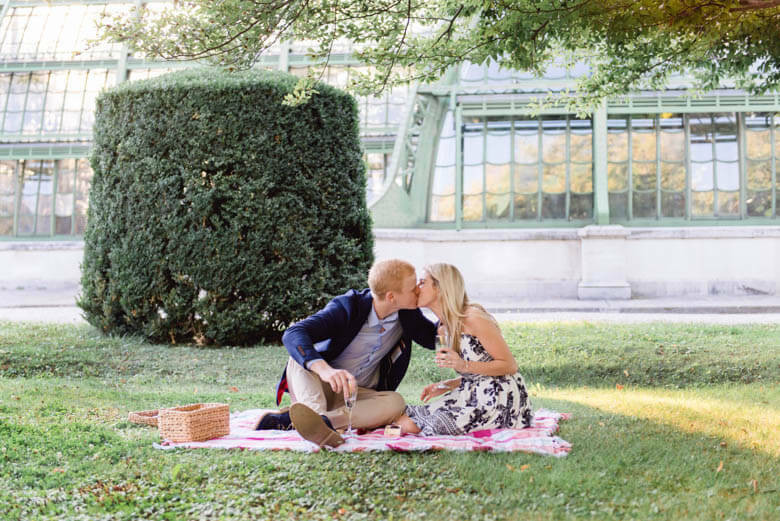 All the while the reactions and acceptance of the proposal by his fiancée were all captured expertly by Sarah, our vacation photographer in Vienna. Once the couple were engaged, Sarah was revealed to his fiancée by Jared and the next stage of the surprise could begin. Sarah did a proper photoshoot of the couple, capturing them in various parts of the beautiful Burggarten to create an album of wonderful pictures of their perfectly romantic and memorable day. 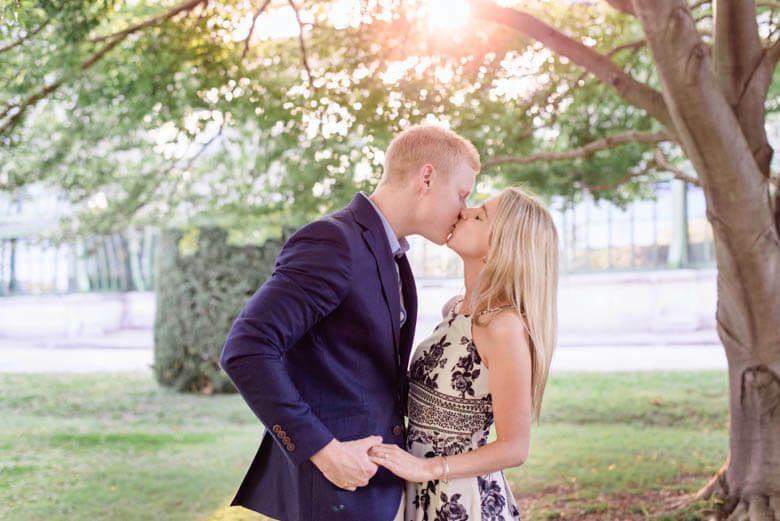 The day this couple got engaged would always be remembered due to the romantic nature and location, but thanks to Sarah they will now have an album full of pictures to remember it too.